Prenatal Care | Broward Healthy Start Coalition, Inc. Early and regular prenatal care helps keep you and your baby healthy during pregnancy. It involves physical exams and screening tests along with education and counseling about how to handle different aspects of your pregnancy. During your visits, your health care provider may discuss many issues, such as healthy eating and physical activity, tests you might need, and what to expect during labor and delivery. Be sure to attend all appointments and stay informed about your care and test results. Keep in mind that women with healthy habits are more likely to have healthy babies. To view risks from smoking during pregnancy, Click here . You will see your prenatal healthcare provider many times before you have your baby. You want to be sure that the person you choose has a good reputation and listens to and respects you. Your provider should be willing and able to give you the information and support you need to make an informed choice about infant feeding methods. 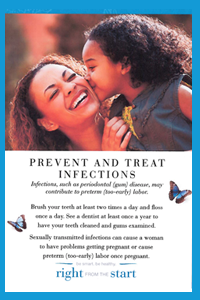 Ask your primary care provider, friends, and family members for recommendations. There are many factors to consider when making your choice such as the provider’s reputation, personality and bedside manner, gender and age, office location and hours, where you want to deliver, etc. If you would like help choosing a provider or need a list of providers, click here to search our local provider directory. Many women have strong views about where and how they’d like to deliver their babies. Women can choose to deliver at a hospital, birth center, or at home, depending on their health insurance coverage. Make sure that the doctor or midwife you are considering can deliver your baby in the place you want to give birth. Whatever you decide, remember that you have options in your prenatal care and delivery of your baby. Hospitals are a good choice for women with health problems, pregnancy complications, or those who are at risk for problems during labor and delivery. In a hospital, an obstetrician can do a cesarean delivery if you or your baby is in danger during labor. Women can get epidurals or many other pain relief options. Birth or birthing centers are a good option for healthy women who are at low risk for problems during pregnancy, labor, and delivery. It is a more “homey” environment where health care providers try to make labor and delivery a natural and personal process by doing away with most high-tech equipment and routine procedures. Usually certified nurse-midwives or licensed midwives, not obstetricians, deliver babies at birth centers. Homebirth is another option for healthy pregnant women with no risk factors for complications during pregnancy, labor or delivery. The main advantage is that you will be able to experience labor and delivery in the privacy and comfort of your own home. Usually certified nurse-midwives or licensed midwives, not obstetricians, deliver babies in a home setting. 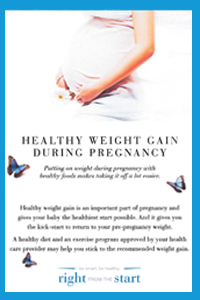 http://womenshealth.gov/pregnancy/you-are-pregnant/index.html – to learn more about pregnancy, prenatal care, childbirth and beyond. http://www.choicesinchildbirth.org/ – to learn more about making an informed decision about where, how and with whom to birth and your birth options.